A. O. Boobe – Somaliland youth from Bristol and Cardiff participated a football tournament held at St Pauls Sports Centre on Sunday, 19 February 2017, which was aimed to fundraise money for people living in drought-stricken areas in the eastern regions of the Republic of Somaliland. Eight teams (seven of them from Bristol and one representing the Somaliland community in Cardiff) played tournament games which was organised by Abdi Ali, a prominent Somali youth leader in Bristol, in conjunction with Yusuf Warmahaye, a local business man, and Bristol Horn Youth Concern, a local voluntary and community organisation. The tournament was a youth-led initiative, because they felt that they had to do something about the drought – at least to help their brothers and sisters. “One night I was watching Horn Cable TV [a Somali speaking television] and I saw the misery our people were going through,” said Abdi Ali. “I heard that other people in the city [of Bristol] were fundraising and I thought how can I, and my generation, make a difference? The Somalilander youth who played in the tournament raised £500, though most of them were students, for their brothers and sisters living in drought-stricken areas in Somaliland’s eastern regions. During the tournament, more than 80 young people were present at St Pauls Sports Centre both as players and spectators; and the teams played good football with great skills and showed excellent behaviour throughout. Nevertheless, the only team from Cardiff won the final game through penalty shootout, and lifted the charity trophy with pride. 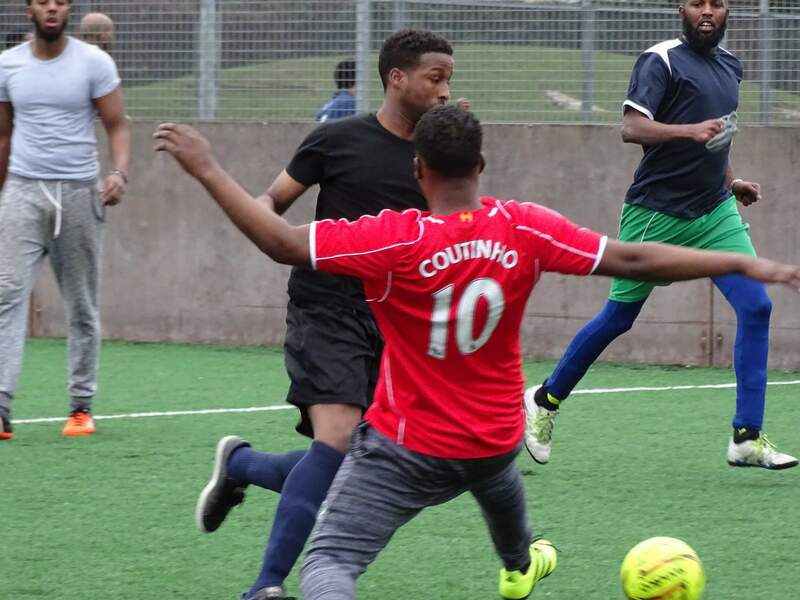 In addition to the fundraising, the tournament provided opportunities for Somalilander young people to strengthen the relationship between Bristol and Cardiff communities, promote healthy life styles and improve social skills, amongst many. Most importantly, young people may have gained or improved their understanding of the impact that the drought has had on people and livestock, and the importance of doing good deeds to help people. “We have made our generation more aware of what’s going back home, and hopefully reinstalled the importance of paying charity [doing charitable causes],” said Abdi Ali. Mashallah may allah reward you all for the money raised for the drought.